Streetwear has become synonymous with luxury fashion over the past few years. Back then it was just considered a fashion choice that many would not take seriously. With the help of social media, streetwear has since propelled itself to the very top of the fashion world, so much so that even big names in fashion are placing a much heavier emphasis on streetwear-centric collections. 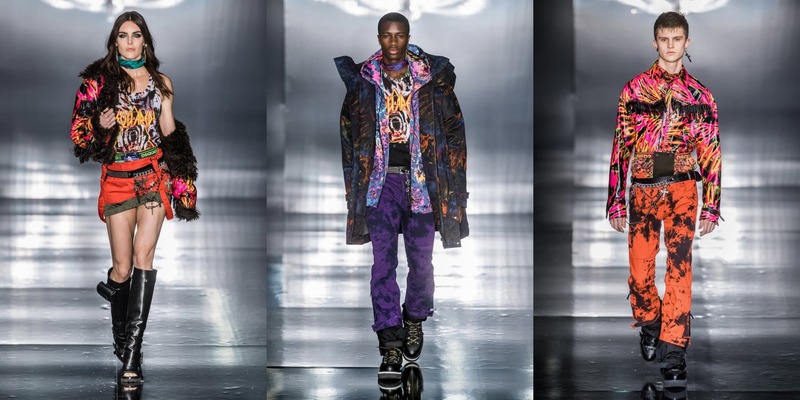 All of this culminated during the most recent Paris Fashion Week Men’s FW2019, which saw plenty to offer for streetwear enthusiasts. Virgil Abloh’s introduction as Louis Vuitton’s creative director — taking over from Kim Jones who moved to Dior — is just one of the many ground-shaking moments that has happened in recent years. Streetwear these days has also taken a slight deviation from its baggy, oversized graphic tees and sweaters, instead focusing more on sartorial tailoring. Gone are the days of trend-setting dad sneakers and graphic hoodies to make a statement; instead, Paris Fashion Week saw plenty of promise coming out from both luxury streetwear as well as luxury fashion labels. Many of these labels also stuck with using darker colour palettes on its collections, featuring the likes of grey, tan, and black. Kim Jones and Dior are a match made in heaven. Just a few weeks before was the launch of the eagerly-anticipated Spring/Summer 2019 collection in all its stores around the world. 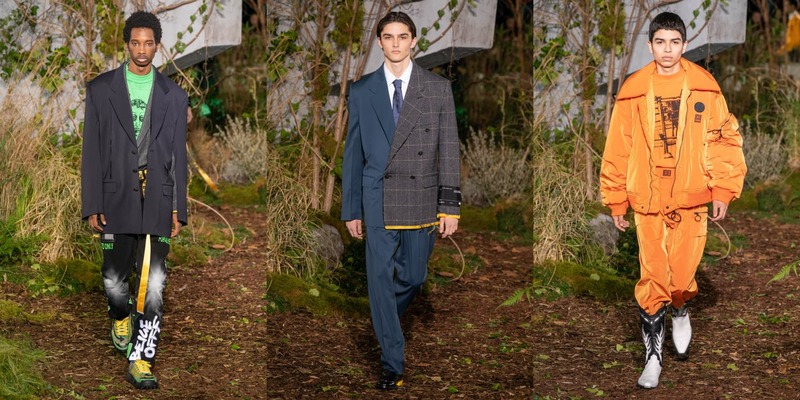 Its latest Autumn/Winter 2019 collection featured an entirely different ensemble from what we saw before. Gone were the floral motifs and in its place, a large conveyor belt with the models sporting some of its stunning looks. The entire showcase focused more on integrating two pieces into one, like tailored jackets and formal coats. Also in the collection were swatches of leather, animal prints, and even shoulder bags, a special collaboration with artist Raymond Pettibon. Yohji Yamamoto is the brains behind the Japanese streetwear label Y-3. The brand itself is known as one of the more popular streetwear brands to date, especially with its collaborations alongside Adidas. 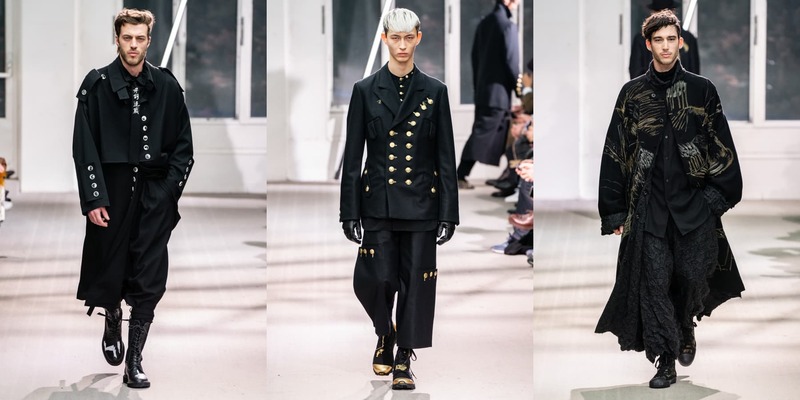 In true avant-garde spirit, Yamamoto brought his imagination to life with his latest collection in dark colours alongside subtle undertones on his clothing. Certain outfits also showcased splashes of gold on its buttons as well as the tips of the combat boots. This paired well with the proper military jackets that were featured throughout the runway, appearing to be off-kilter. When talking about luxury streetwear, nothing screams millennialism more than Off-White. The Italian streetwear brand went all out for Paris Fashion Week with the help of its founder and CEO, Virgil Abloh. Abloh’s take on Off-White’s show was significantly different from his sophomore showing for Louis Vuitton. Bright and bold colours of green and orange took stage amongst a sea of black and grey. Frankenstein suits also made an appearance as well as spray-painted boots and jeans to give it a different set of aesthetic appeal. Vetements has a long history when it comes to its fashion pieces blending in together with politics. For Demna Gvasalia, it’s a matter of confronting the issue head-on through his collections. The current creative director for Balenciaga called his latest collection for Vetements ‘Anti-Social’ (he is the head designer of Vetements). For the most part of the collection, Gvasalia focused on politically-charged pieces, which started off with a black turtleneck and denim blue jeans — his tribute to Steve Jobs but with a cryptic warning included. 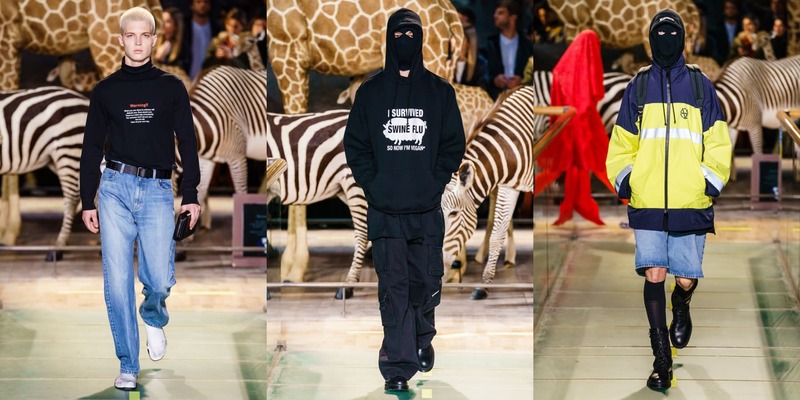 The entire 61-piece collection featured various political messages on hoodies and jackets; to top it all off, models were clad in baclava masks throughout the show. 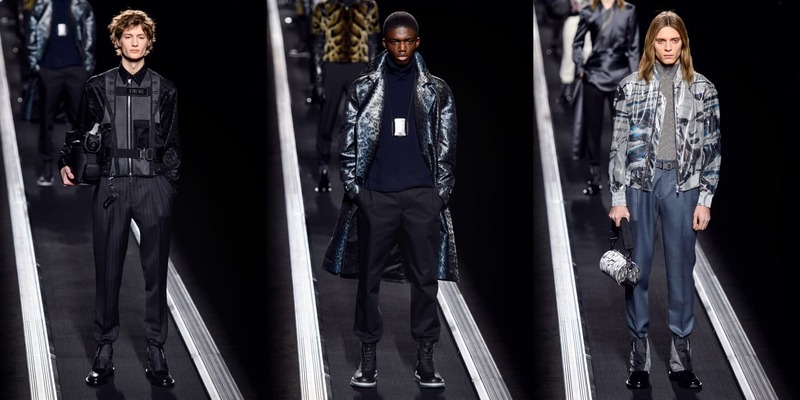 Dsquared² take on its Autumn/Winter 2019 collection for Paris Fashion Week can be considered as a curve ball at best. Identical twin brothers Dean and Dan Caten are at the helm for its latest collection, bringing with them a trio of inspirations. Throughout the entire show, Dsquared² played a lot with tie-dyes, which was evident in many of its clothing. It also utilised the same typography as British heavy metal rock band, Def Leppard to spell out Dsquared² on many of its pieces in the collection. All in all, the Canadian-duo managed to take things up a notch by going all out with its latest collection through the use of flamboyant colour palettes.